The Ferrari F70 will be based on the Aurea Concept launched by Ferrari in 2004. 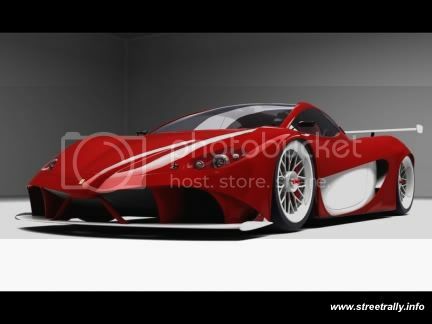 The Aurea Project was born from the desire to place the F1 DNA on a normal car. This is what the new F70 will be about: a car with the design and power of a F1 car, but specially designed for the road. On designing the Enzo, Ferrari needed to make some compromises in order that both the design and the technologies of the car to be satisfied. So they build the Enzo on aerodynamic consideration. But when they build the FXX they have realized that the Enzo could have all the technologies they had to give up. And in the F70 case all the aerodynamic will be hide under the car. The result is that the exterior design of the F70 won’t be affected by compromises, like in the case of the Enzo due to the aerodynamic technology developed by Ferrari and used in the FXX. The front design will combine modern elements inspired from F1 cars with retro touches from the old supercars. The F70 will be made of carbon-fibre, and this will help to reduce the weight, thing that is necessary considering the big output of the car. Like on the future F430 CS, the F70 will feature Magnesium sport wheels and the carbon grille in the back (also good to better cool the engine). The brakes will be upgraded with bigger discs, the soft Pirelli P-Zero tires give the car enormous grip, and the interior is completed with deep sport seats. In the same style as the Ferrari P4/5, the F70’s two exhaust pipes will be mounted like the F1 cars on the top of the back end, and other two down in the diffuser. The Ferrari Enzo it is powered by a V12 engine delivering 660 hp. The power on the F70 will grow with around 100 hp. Initially there were rumors that the F70 will have an output more than 800 hp, but Ferrari said that they have no intention of building a competitor for the Bugatti Veyron, and also a car with such an output will generate lots of problems, including heating and weight. It is expected that the V12 on the F70 to deliver not more than 750 hp. This output will help the car to make the 0 to 60 mph sprint in less than 3 seconds and a top speed of 235 hp. wwooww is good car mamapenes! Looking to sell your car? or thinking How can I sell my car ? or who will buy my car ? then look no further as TradeMyMotor.co.uk is the free and easy to way sell car no matter the age or condition we buy any car. Greatest article about online buying and selling cheap car.It was very beneficial for this Best offer related to We Buy Any Car online with discount prices. 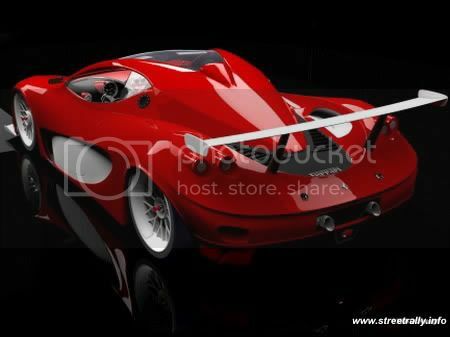 Download free latest Car models and pictures.